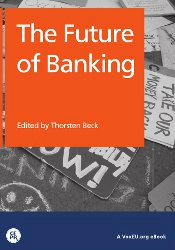 Vox eBook Banking Union for Europe: Risks and Challenges (Editor), October 2012. Bailing out the Banks: Reconciling Stability and Competition, joint with Diane Coyle, Mathias Dewatripont, Xavier Freixas, and Paul Seabright. CEPR, 2010. Entrepreneurship in Developing Countries, (Editor), Edward Elgar Publishing, 2009.